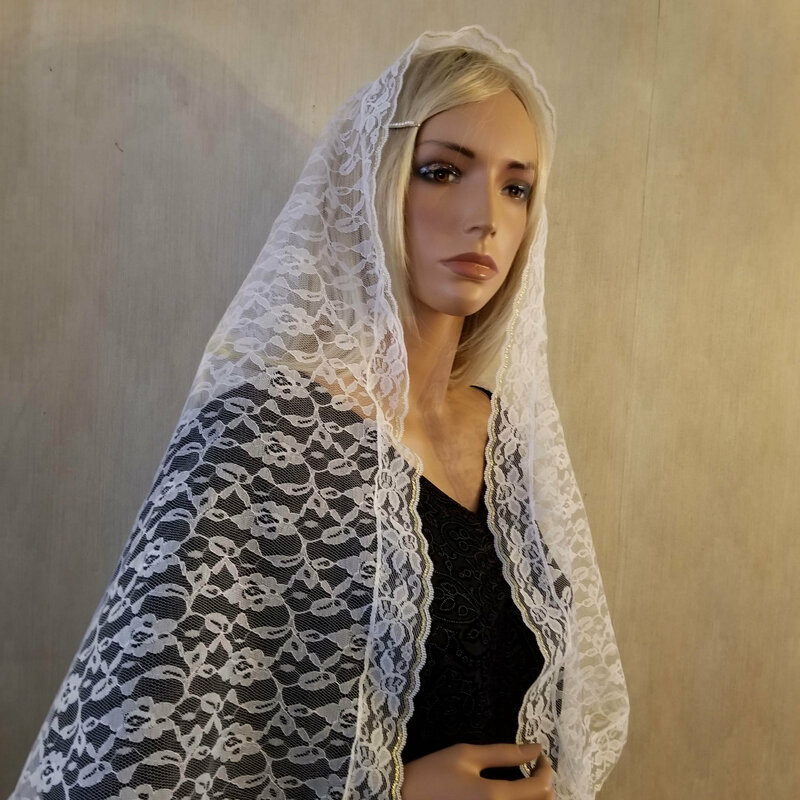 A traditional white lace bridal veil perfect for Traditional Catholic brides and Quinceanera Celebrations. A splendid choice for a Convalidation ceremony, adult reception into the church. Lovely flowing floral lace paired with premium floral lace trim with a tiny band of gold at the edge.. The traditional full sized D shape or half circle that so many women prefer measures 62" wide by 31" deep. Depending on your hair and height, it will be either an elbow or waist length veil. The lace is so soft that it drapes perfectly. 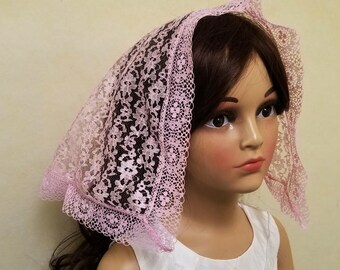 This is the kind of chapel veil you'll want to save for your daughters. This chapel veil has a removable comb so you can take it out to store your veil without poking a hole in it. Or if you prefer, you can have two loops sewn in to use with matching bobby pins.